Dr. Dreyer received his dental degree in 1986 shortly after graduating with his BS in Mathematics all from the University of Florida. He is currently a founding member of The International Academy of Endodontics. Dr. Dreyer is focused on being the best he can be through high level continuing education. 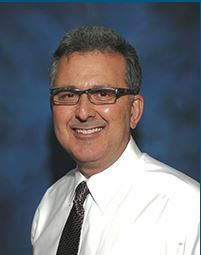 He has a passion for getting patients out of pain and has limited his practice to endodontics. He has spent thousands of hours since the late 90's learning endodontics from interactive forums and hands on courses. Dr. Dreyer has an average completion of 800 cases/year since the year 2000.When away from the office Dr. Dreyer enjoys reading. His favorite author is Grisham. He loves to explore and travel in his motor home. You may find him camping at Ginny Springs and tubing down the Sante Fe River. He also enjoys spending time with his wife Diane “the world’s most awesome woman” as well as his English Bulldog Chops and his 2 amazing daughters. One of which shares his passion for dentistry as a pediatric dentist. The other is a prosecuting attorney and Dr. Dreyer couldn’t be prouder! He also enjoys volunteering and is actively involved at a charity clinic in Mexico sponsored by Flying Samaritans. If Dr. Dreyer were not a Dentist, he would probably be in the car industry perhaps a professional driving coach!